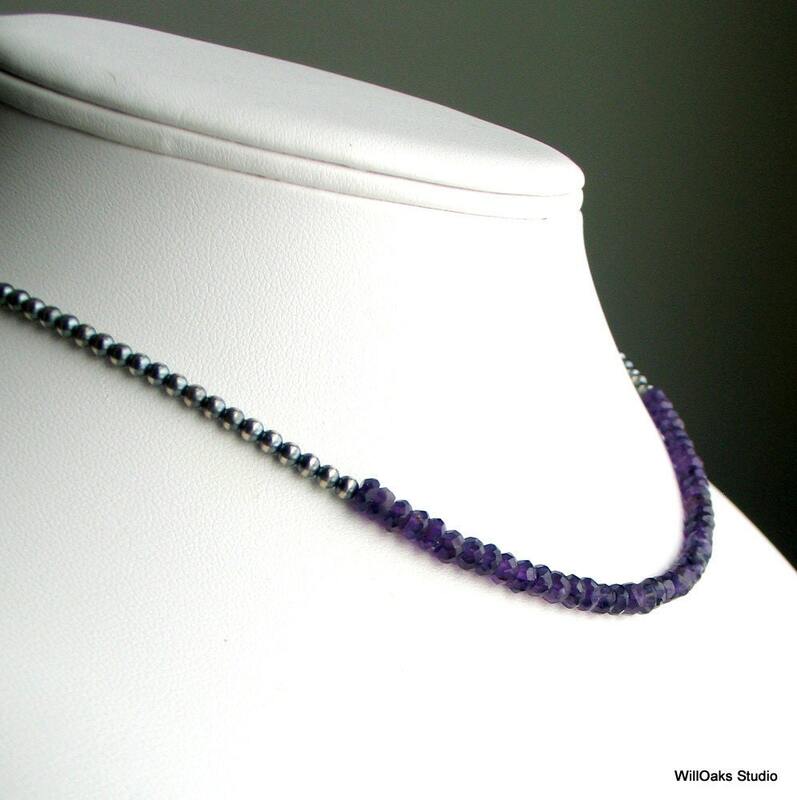 Original natural amethyst necklace artisan designed and handmade for everyone who loves these purple stones, including February birthday girls. 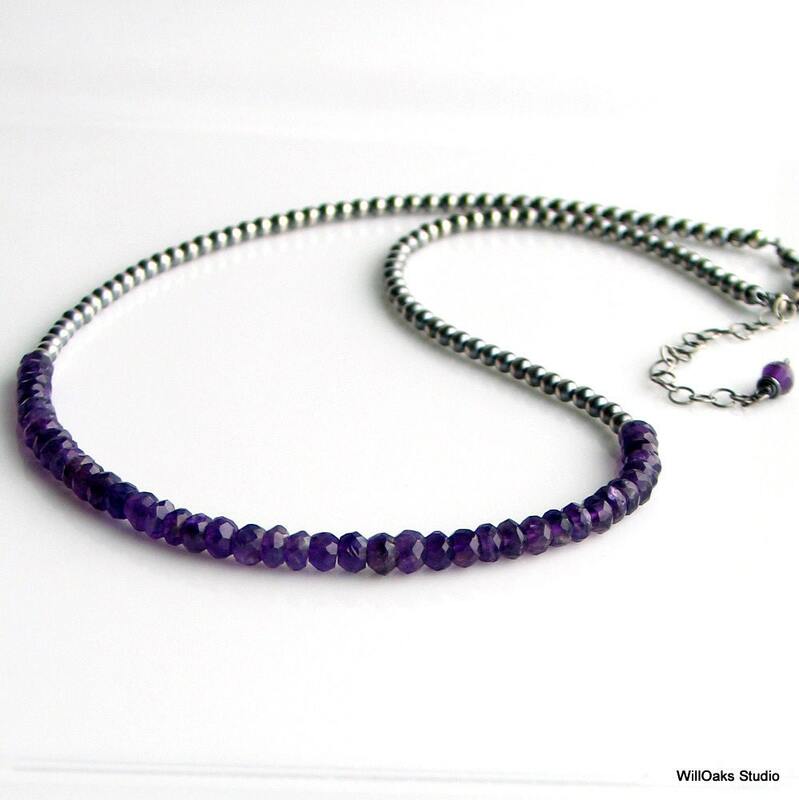 Five inches of faceted gemstone beads create the front focal and a handmade chain of sterling beads creates a necklace that can be worn between 16.5" to 18.5". 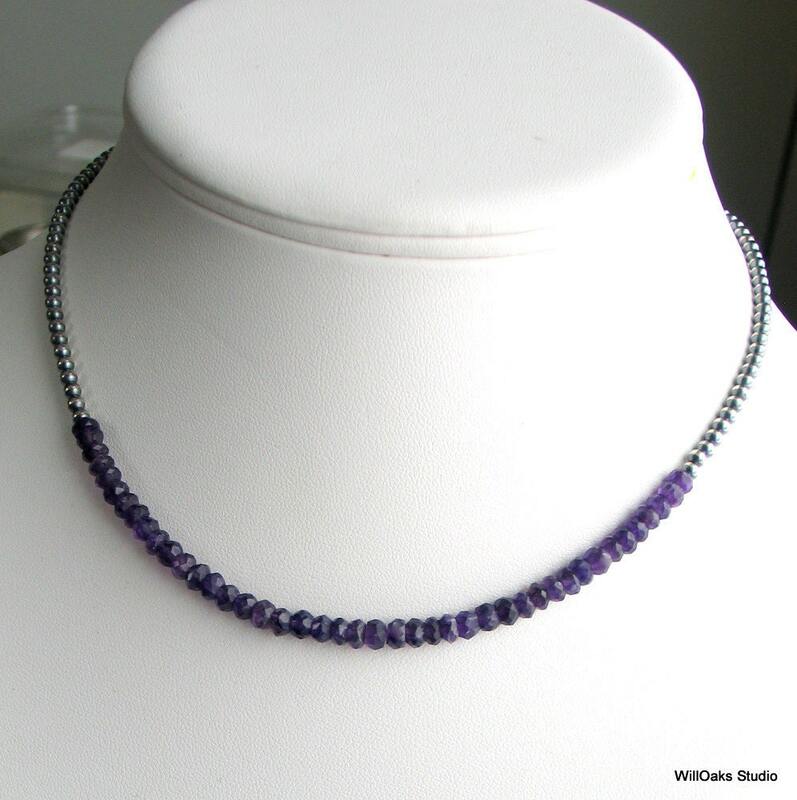 This is the last necklace in my faceted amethyst version of this design. Perfect alone or for layering, my original "Special Chain" series features beautiful stone focals with chains that are hand oxidized and selectively buffed sterling beads to create a striking effect. A demure, very comfortable design that works well with many different necklaces. Made to span the seasons and to move from casual to dressy. 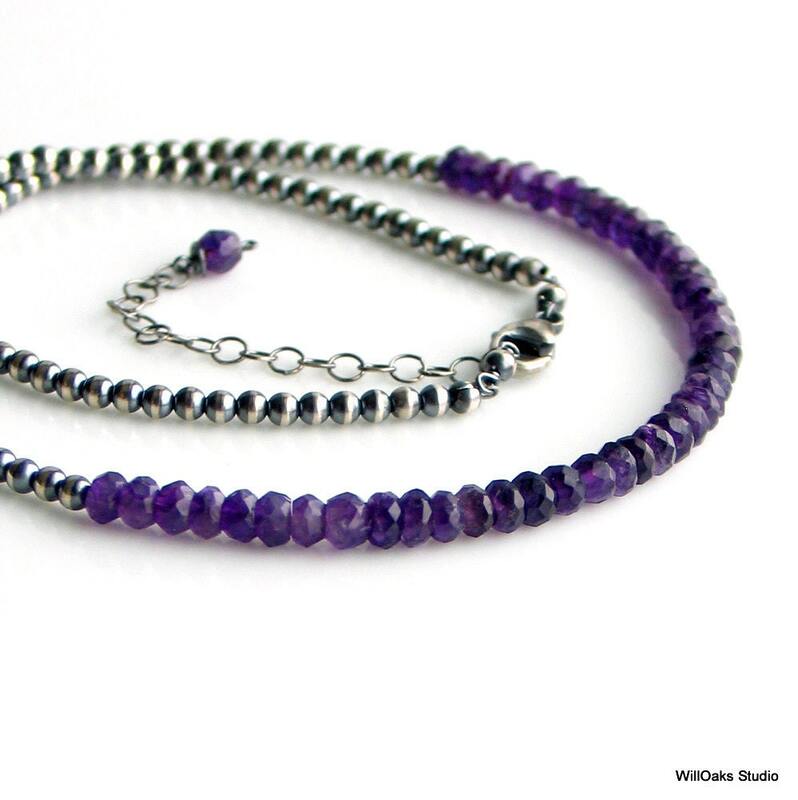 Purple amethysts are the February birthstone and also might be perfect for the lady who loves purple in your life. 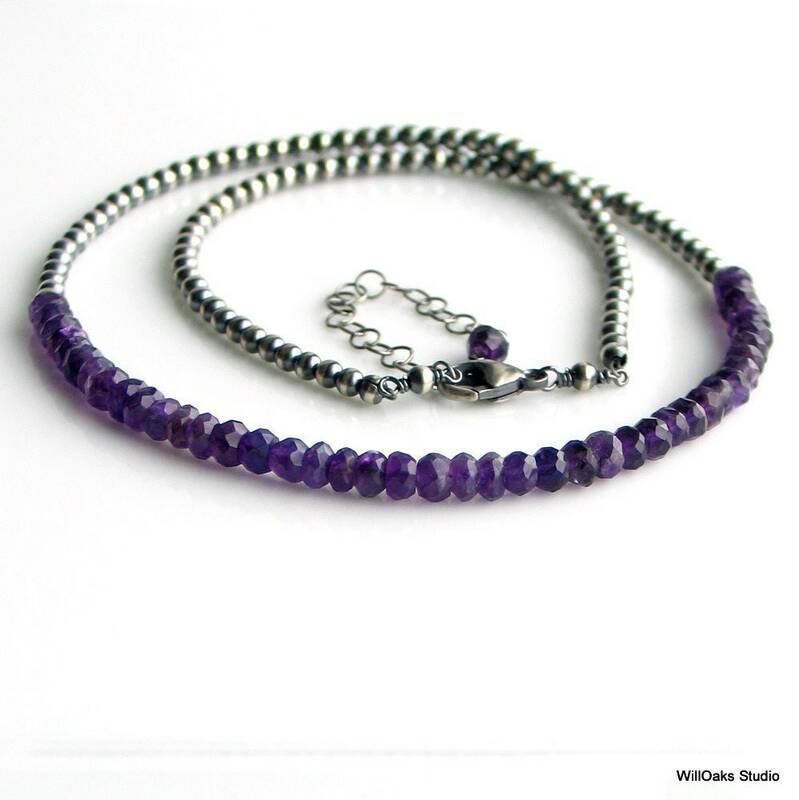 I made another amethyst version of this original necklace using smooth, rather than faceted, gemstones-you can view it here https://www.etsy.com/listing/47302170/amethyst-cluster-necklace-on-sterling? All WillOaks Studio necklaces are carefully packaged in my signature decorative, cotton filled box, all ready to give or to keep. What a lovely necklace! It is always a pleasure to do business with this seller!